Boston Child Support Lawyers - Cunha & Holcomb, P.C. +++++For some families, the financial aspects associated with a separation or divorce are the most difficult to deal with. In determining financial matters such as alimony and child support, it is imperative that you are represented by a knowledgeable attorney who can guide you through every step of the legal process. 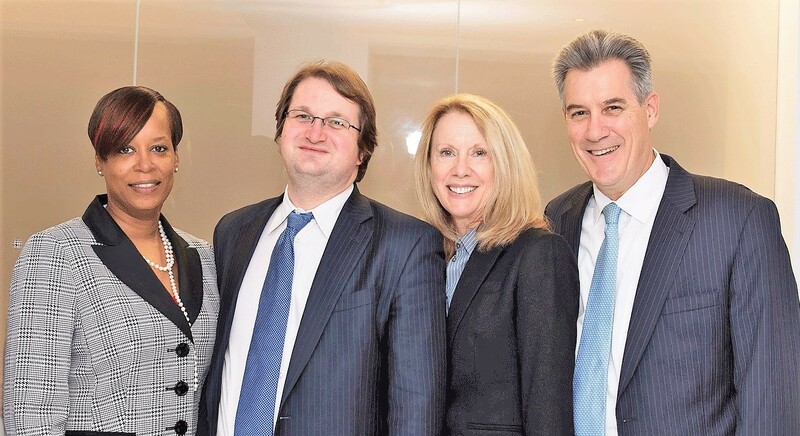 Attorney Helen Holcomb is a Certified Financial Litigator, and her team od Boston child support lawyers at Cunha & Holcomb are known for the ability to excel in complicated family law matters. We are a premier resource for clients seeking the best legal counsel. +++++In Massachusetts, child support is calculated based on a mathematical formula that looks at several different factors. Once the numbers are put into the table, child support amounts are calculated. While child support obligations are largely determined based on these guidelines, it is equally important to be represented by an experienced family law attorney because your situation may call for an amount higher or lower than what the guidelines suggest. +++++Boston child support attorney Helen Holcomb leads our family law practice and has more than 30 years of experience in family law and divorce matters. She is well known for her ability to negotiate successful outcomes for her clients. She is able to call upon in-depth knowledge of child support laws and appellate court decisions and how they relate to the family and divorce issues in each case. Her level of commitment to clients is seen in the compassionate and individualized approach she takes to resolving their legal matters. ++++++++++Please contact our Boston child support lawyers at 617-523-4300 to schedule an initial consultation. One of our attorneys is a native bilingual speaker in Spanish and English, and another is fluent in French.